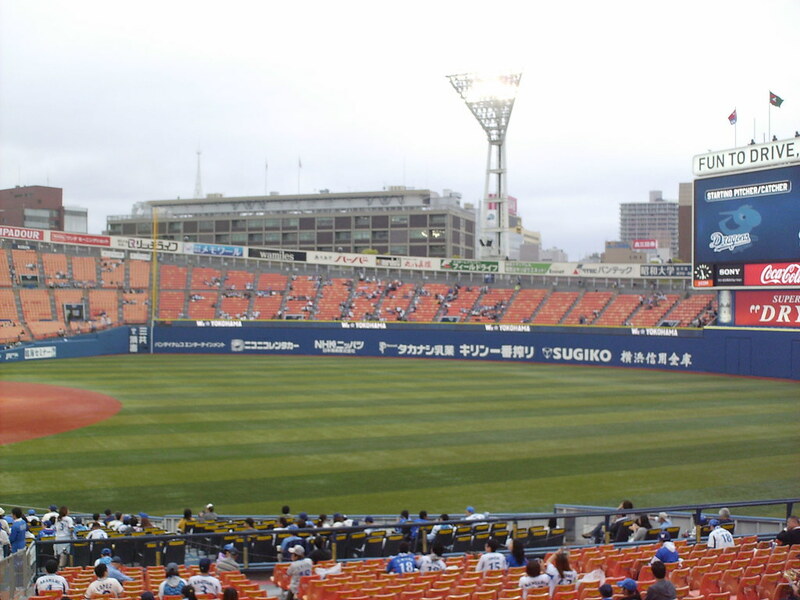 The view from beside home plate at Yokohama Stadium. 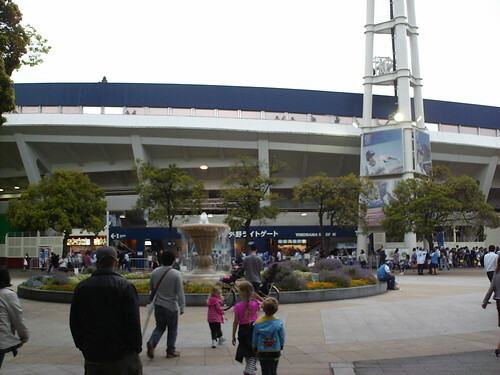 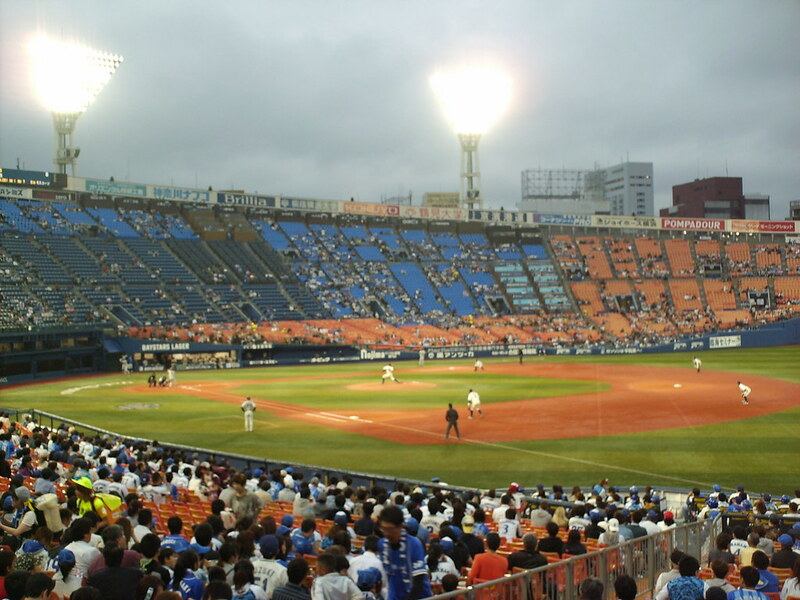 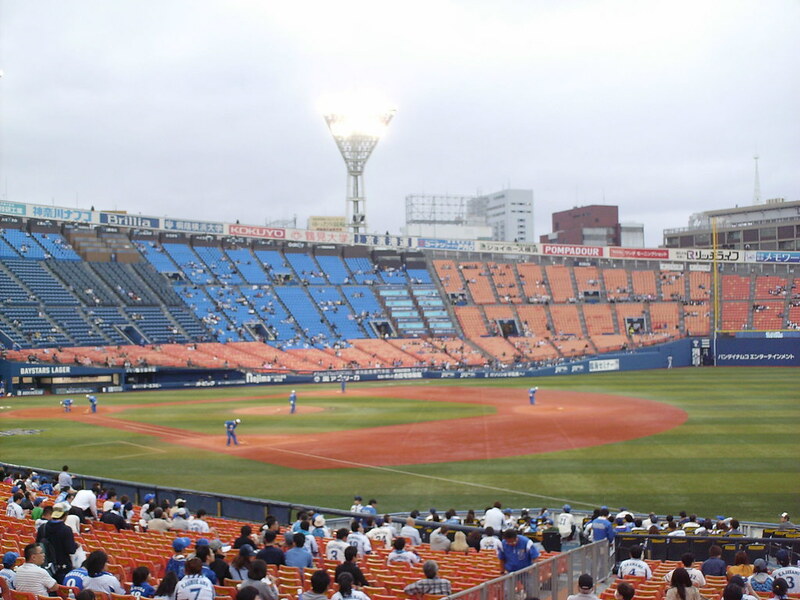 The grandstand at Yokohama Stadium, as seen from the right field corner. 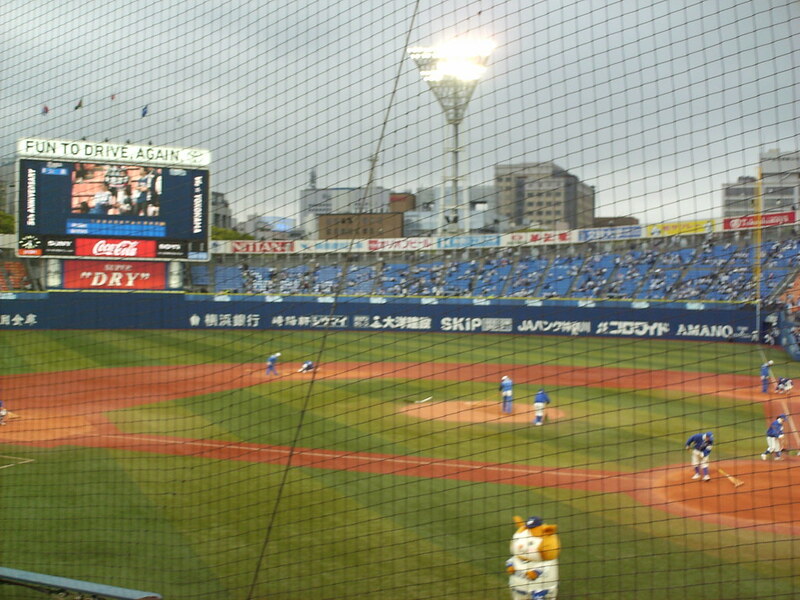 Pressboxes sit at the top of the seating bowl behind home plate. 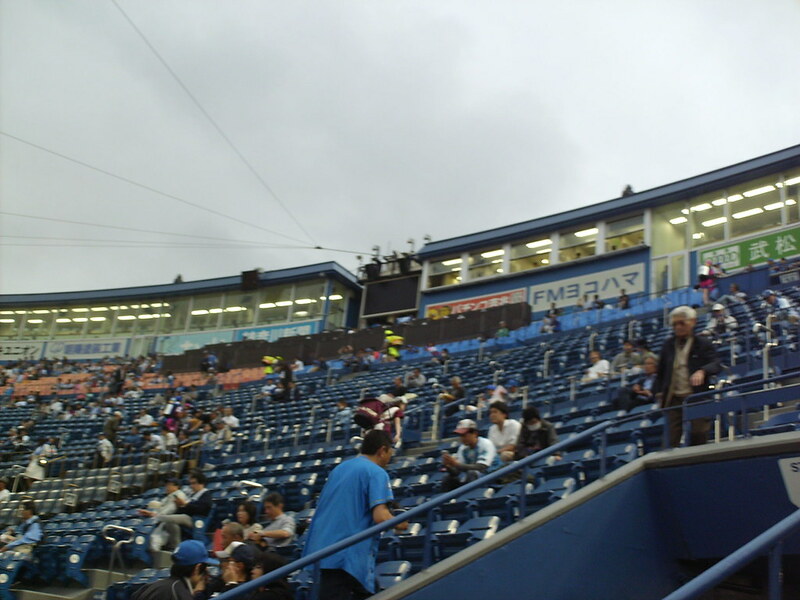 Luxury suites ring the top of the grandstand, with box seats running down the length of the stands. 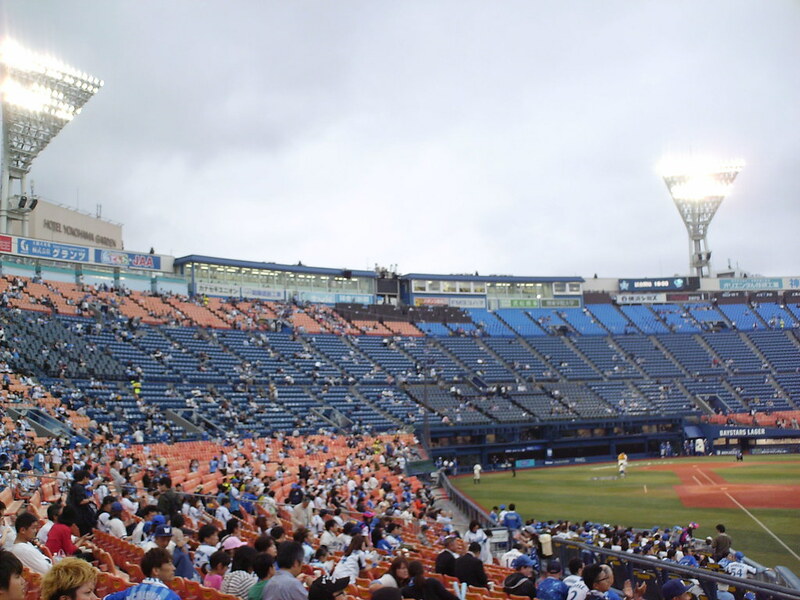 Box seating areas feature wooden decks with table seating and swiveling plastic chairs. 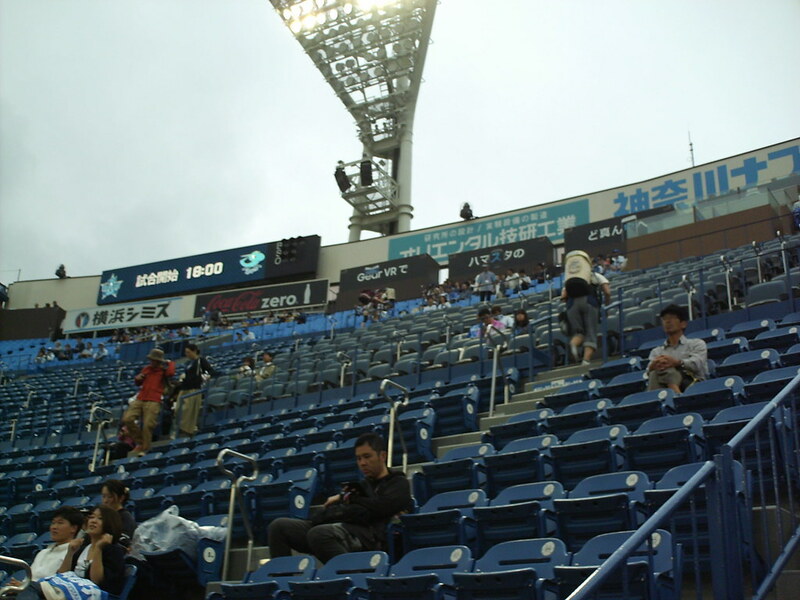 Padded stadium seats sit at the top of the grandstand, underneath the luxury boxes, rather than close to the field. 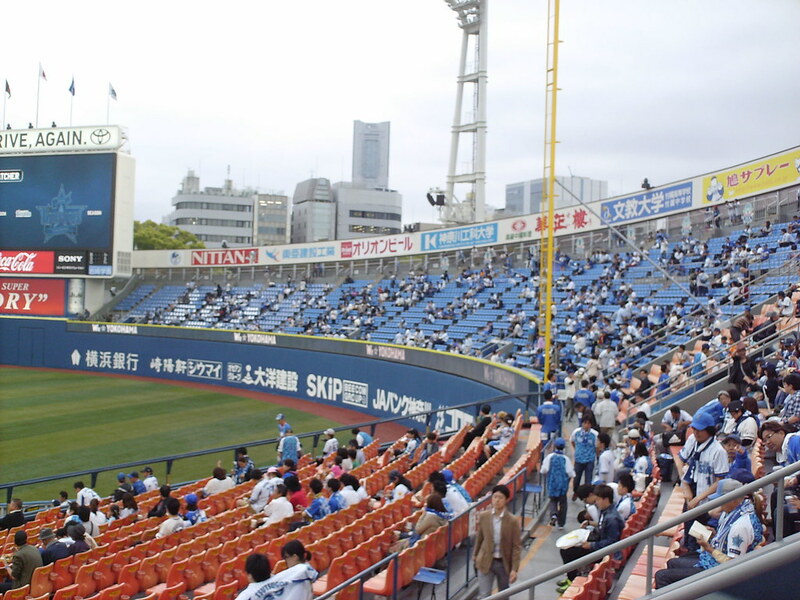 A small section of field level seating juts out into foul territory down the left field line. 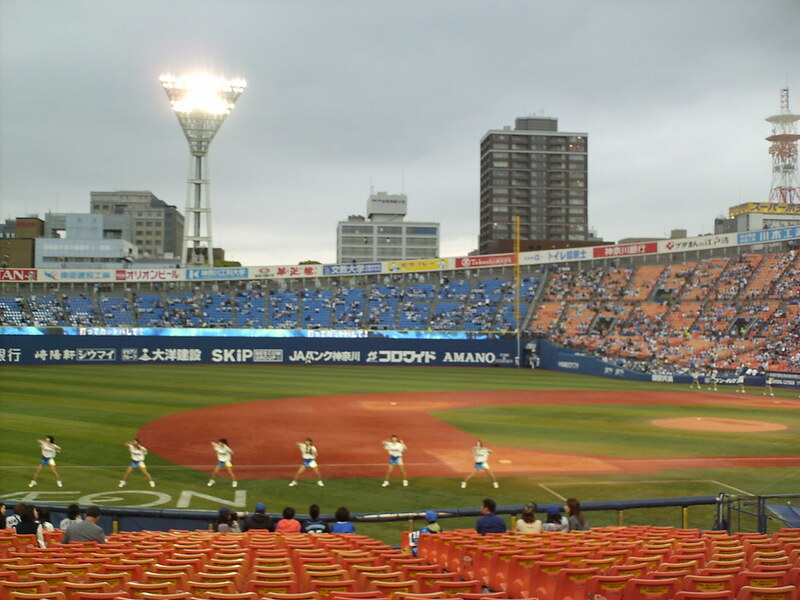 The grandstand features a gently sloped seating bowl close to the field, with the seating rising up steeply as they move farther back. 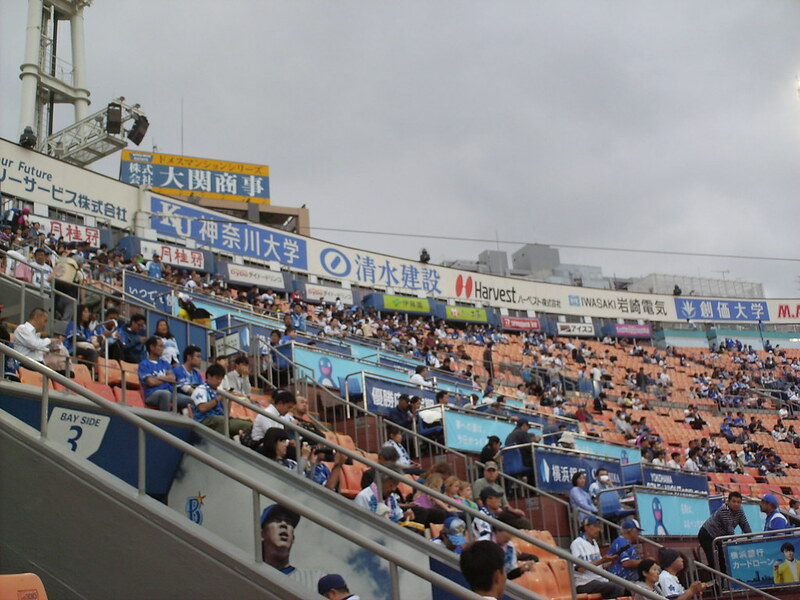 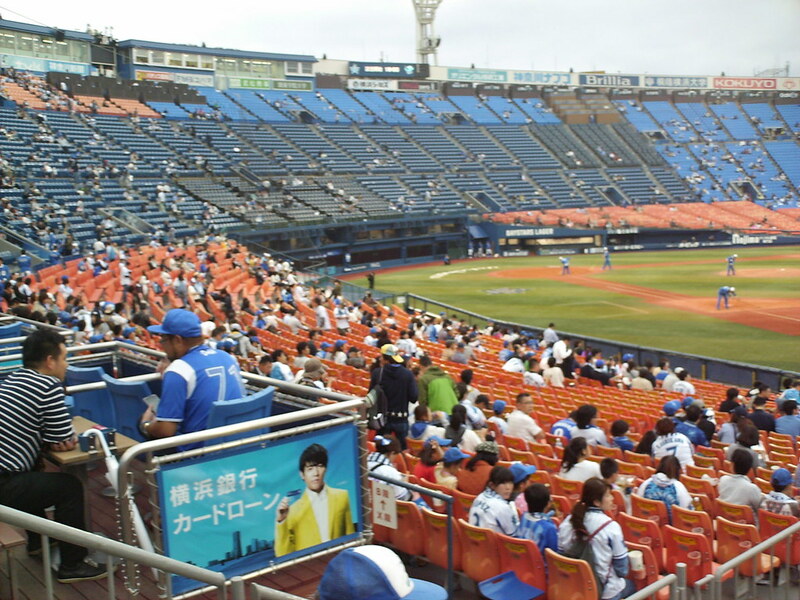 The BayStars cheering section, with blue seating, behind the right field wall. 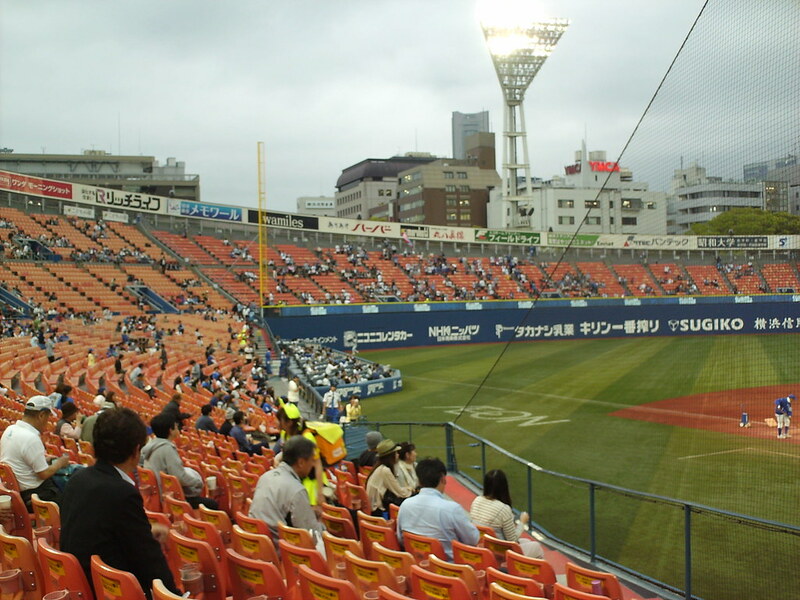 The visitors cheering section sits beyond the left field fence and features orange seating. 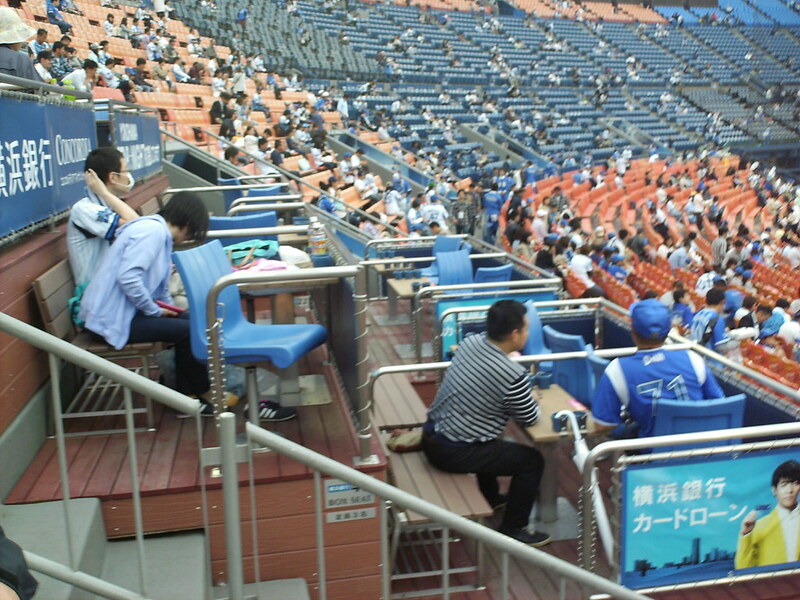 Luxury suites and another press area sit at field level behind home plate at Yokohama Stadium. 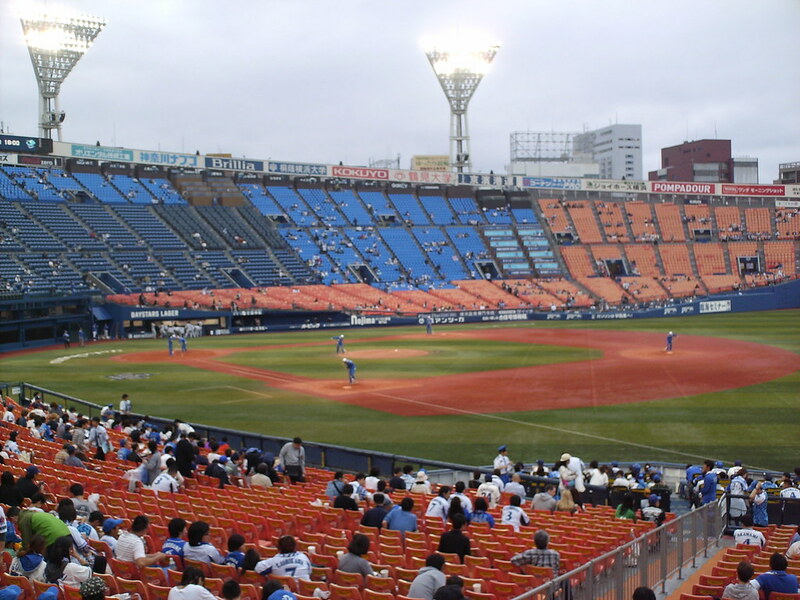 Dugouts and the large foul area behind home plate. 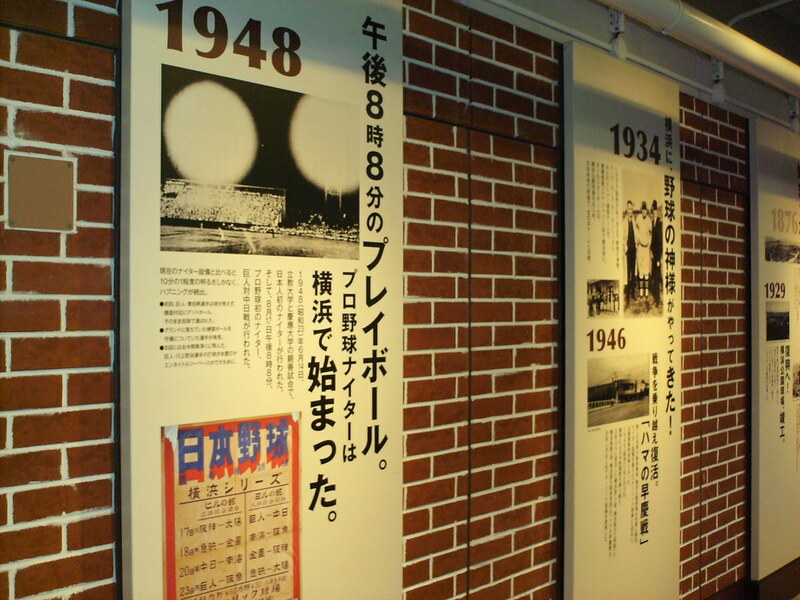 A history of the team's former stadiums runs along the concourse underneath the grandstand. 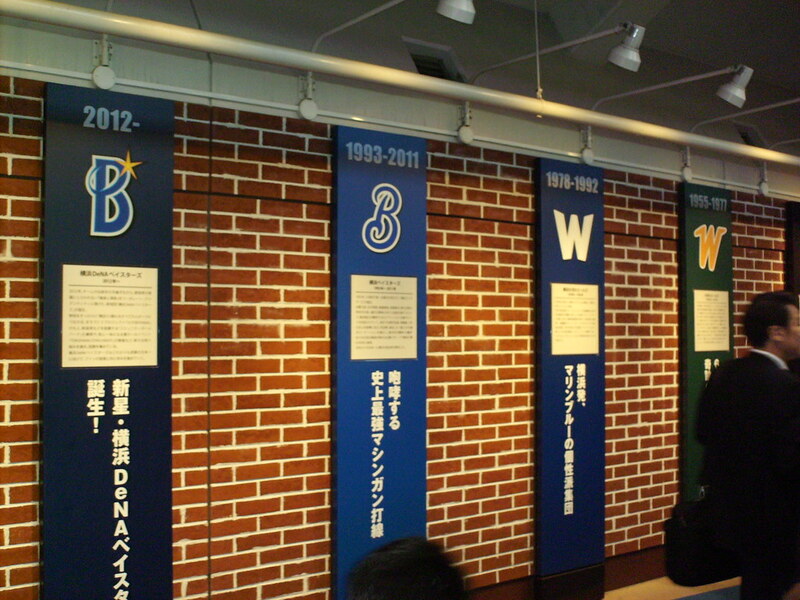 A history of the BayStars/Whales franchise is also celebrated by plaques along the concourse wall. 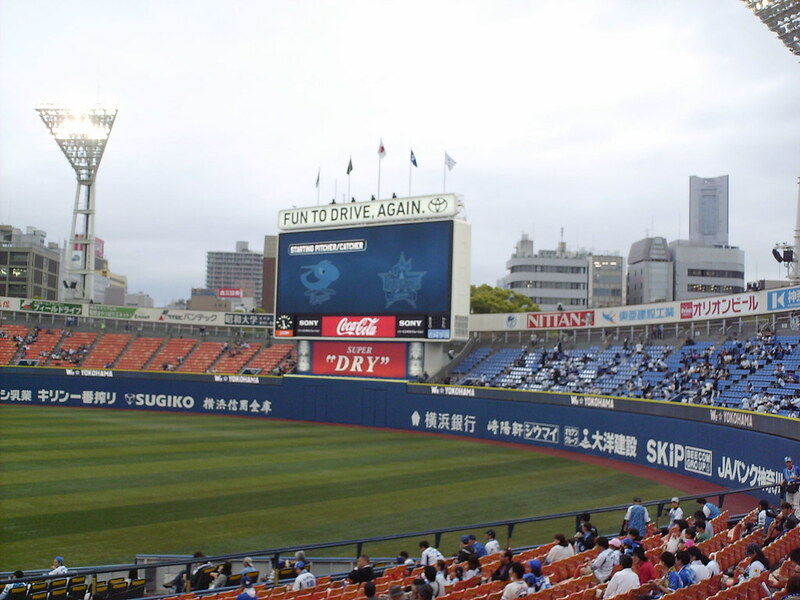 The scoreboard in center field, with the stadium's distinctive "Y" shaped light standards on either side. 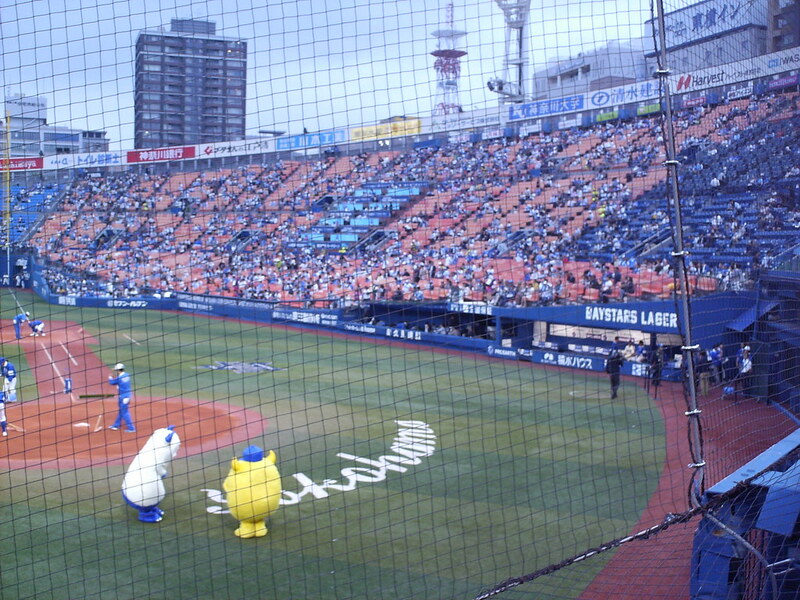 The Yokohama DeNA BayStars on the field during an NPB game at Yokohama Stadium.